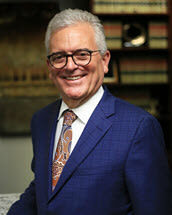 Wes Ball received his law degree in 1980 from Texas Tech University School of Law and joined the Tarrant County District Attorney's Office as a prosecutor at that time. While in the DA's office, he prosecuted cases in both Felony and Misdemeanor courts. He was a Chief Felony Court Prosecutor, and later, the Chief of the Misdemeanor and Juvenile Trial Section. He left the DA's Office in 1987 and became a founding partner of Ball, Hase & Wisch, which in 1995 became Ball & Hase. Ball & Hase is now an Association of Board Certified Criminal Law Specialists. Wes Ball & Don Hase maintain separate practices. However their long association has remained and they continue to collaborate on client matters when the client’s interests are advanced. He is active in the Tarrant County Criminal Defense Lawyers Association, and was President in 1994. He is also a member of the National Association of Criminal Defense Lawyers, Texas Criminal Defense Lawyers Association and the Arlington Bar Association.